• For hair that bounces^ with you. 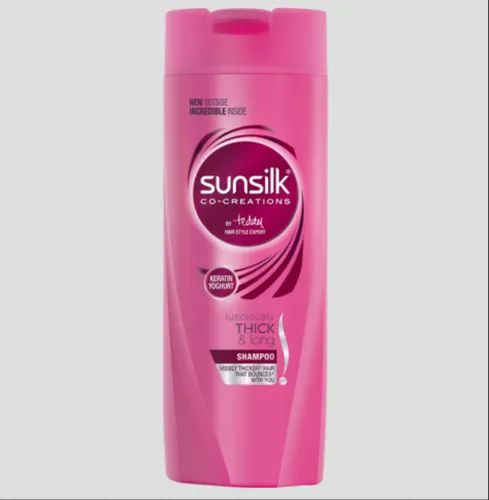 Sunsilk Lusciously Thick & Long is enriched with Keratin Yoghurt and is complemented by a fresh fun fragrance. It acts from the first wash, to add volume^ and bounce^ to your hair! You love to explore life to the fullest with different hair styles to go with it. Thick, luscious hair gives you the freedom to try a range of hairstyles, so you can express your mood, and your various avatars. You can go for any chic formal updo, try any braid in any lookbook, or just twist it, pin it, twirl it any way you wish. With Sunsilk Lusciously Thick & Long enjoy two times thicker^ looking hair.